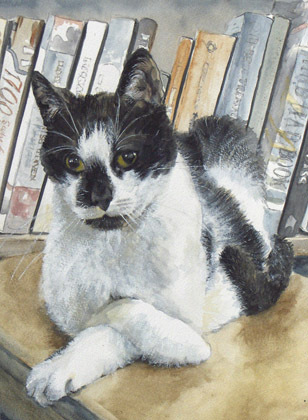 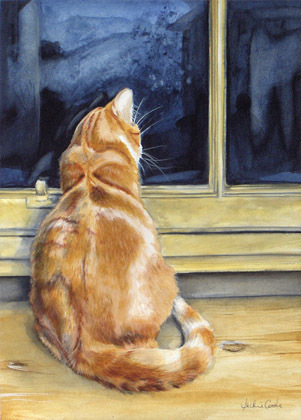 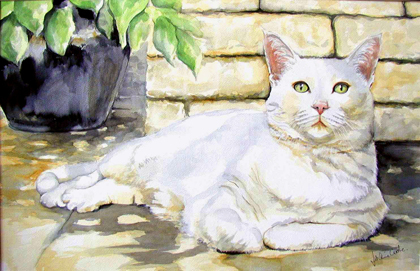 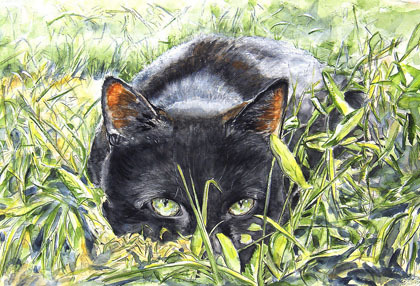 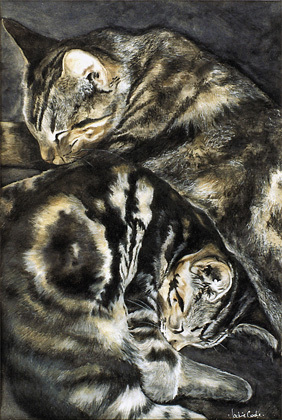 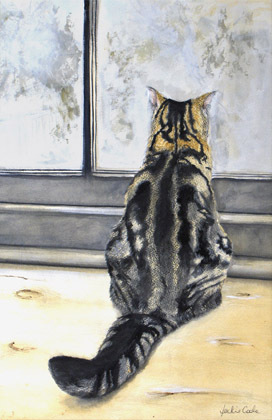 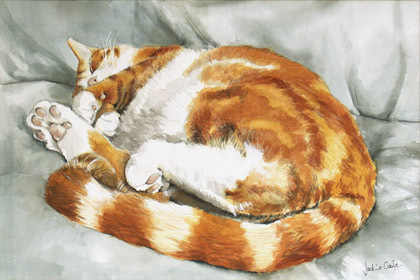 Although Jackie’s work as an artist varies in style and subject matter, she is frequently inspired by her own five cats (Frank, Dennis, Eddie, Lily and Donald), as well as those of friends and family. 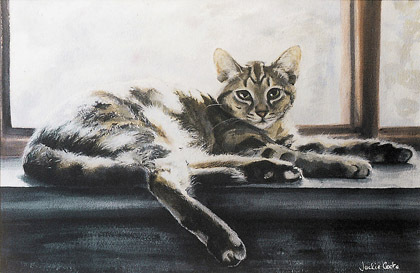 She works mainly in watercolour, but has lately begun to get back into acrylics and oils. 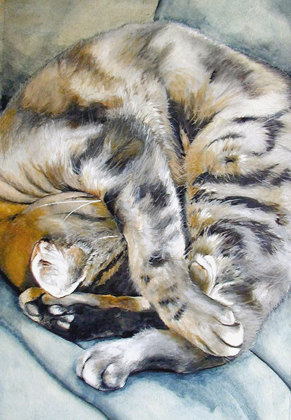 She accepts commissions, and prices start at £295.